Do cravings derail your efforts to eat healthy? Your hormones cause your cravings because they influence how you feel, what you want, and how fast your body stores fat. When your stomach is empty, it produces a hormone, called ghrelin, that causes hunger. Think of ghrelin as the gremlin that sabotages your weight loss efforts. If you let yourself go hungry, your cravings will be too intense to resist. Apple Cider Vinegar is one of the healthiest ingredients you can add to your diet, because of its effect on ghrelin. Aceic acid, the active ingredient in vinegar, has the power to reduce your hunger hormone and help you control your cravings. Apple Cider Vinegar can aid weight loss. ACV has the ability to delay gastric emptying time. This means that your body will feel fuller for longer and you will not get hungry as quickly.1 This is a great craving killer that can also improve nutrient absorption if you're low in specific digestive enzymes and beneficial bacteria. 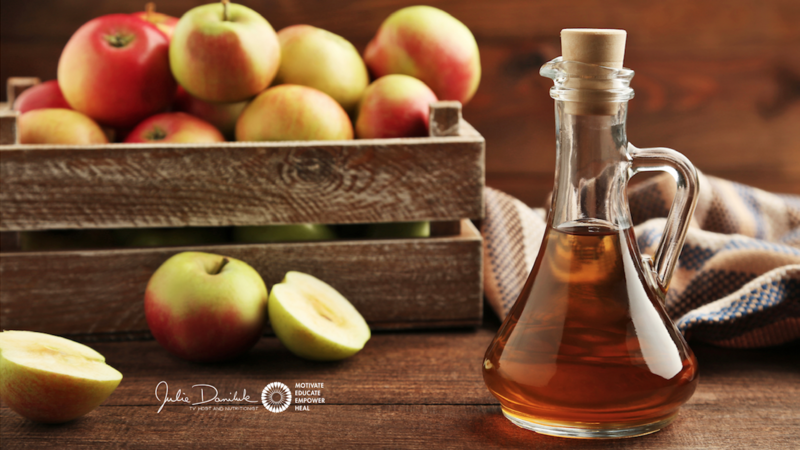 Apple Cider Vinegar may protect against cardiovascular disease. Apple Cider Vinegar is great for Diabetes. ACV may slow the release of sugar (from foods) into your bloodstream and avoid dangerous spikes in blood glucose.3 This lowers your body’s need for insulin and takes the stress off of your pancreas. Plus, when your blood sugar is balanced, you are less likely to crave carbohydrates. Apple Cider Vinegar helps out your liver. ACV is composed mostly of acetic acid, and acetic acid has been shown to have the ability to protect your liver cells. This research is studying ACV's effect on liver tumours.4 These trials are still taking place in animal studies, and showing promising results with minimal side effects. Bonus Feature! 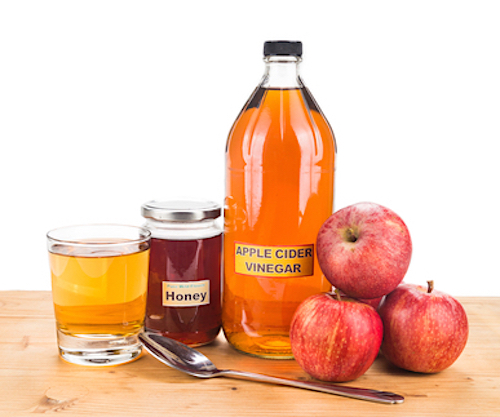 Apple Cider Vinegar is an excellent household cleaner. This ACV Honey Tea recipe is so easy-to-make, and use, daily. Generally, it's best to take this tea in the morning, before you eat. Mix 1 tsp (or 1 tbsp, to your taste) of Apple Cider Vinegar + 1 cup of warm water + 1 tsp of organic honey (raw, unfiltered) first thing in the morning. Stir well and allow it a few minutes to combine. Drink slowly, as you would drink a cup of tea. After finishing your ‘ACV tea’, drink 24 oz (about 3 cups) of water slowly over the course of 30 minutes. After your tea, have breakfast and resume your normal daily activities. Note: You can have ACV Tea every day, or at least 4-5 times a week, before meals, to increase digestion. Apple Cider Vinegar can help provide a wonderful test to see if you need more stomach acid or have an ulcer : Take1 tbsp of ACV on an empty stomach. If you get a burning sensation in your stomach, you may have a breach in your stomach lining and should consult your doctor for an H.pylori ulcer test. If you have no burning sensation, you find your digestion improved (eg. less heartburn) and you generally feel better, you need more acid in your stomach, in which case ACV can help you.